Messages indicate the location has a security certificate problem. I am attaching one screen shot about not private/secure site from Chrome. 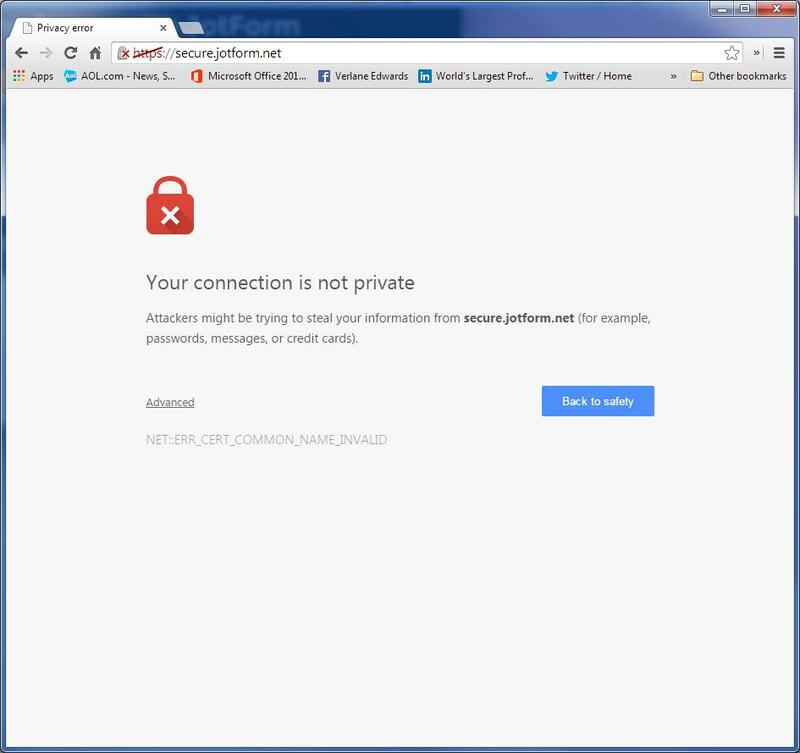 Other browsers reporting certificate issues with the secure.jotform.net form path. Let me forward this thread to our maintenance team so they can review it and provide a fix. In the meantime, please try to re-embed your form using the iframe method.